One of my favorite blogs is the photography blog Shorpy, which specializes in posting glorious, high-resolution photographs largely from the Civil War through World War II, many of which come from the Library of Congress’ online databases of stock photos, government photographs, and newswire shots. They really do fantastic work, and I’ve long looked for a reason to link them here on OrthodoxHistory. Now, opportunity knocks. 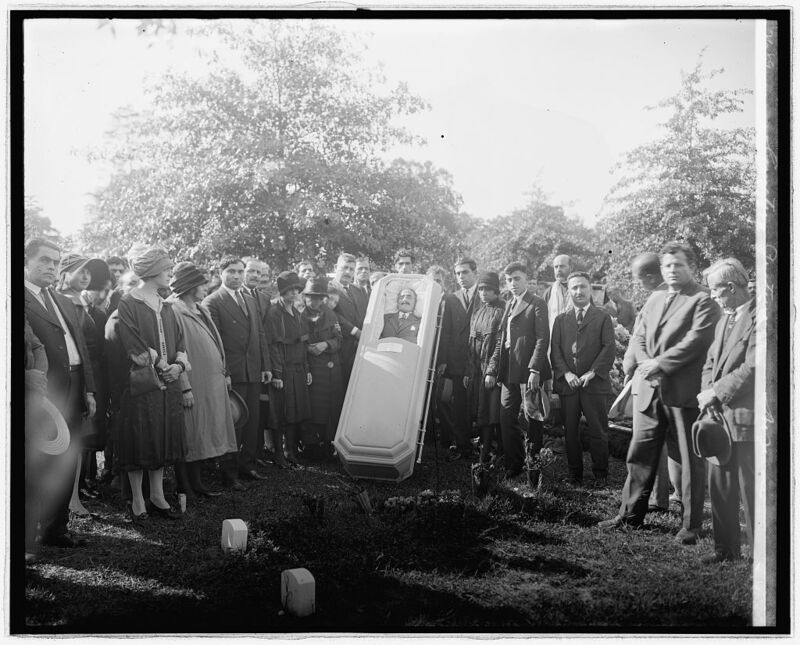 A little while back, Shorpy’s editors posted a somewhat morbid, but oddly engaging photograph of a burial near Washington, DC circa 1925, which came from the Library of Congress. The picture had a rather minimal caption, so we have to go by what we see. 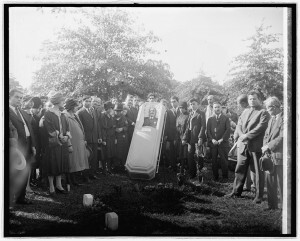 What appears to be a group of well-dressed immigrants are gathered graveside around a casket. This is all pretty normal, except for the fact that the casket is propped up, and the head and shoulders of the deceased are visible through an opening in the lid. Yikes. What immediately jumped out at me when I looked closer, however, was the fact that peeking out of the back of the crowd is a priest. Bald, bearded, and wearing a stole and pectoral cross. The wheels started spinning. It certainly looked Orthodox to me, but how could I prove it? My research interests tend to be with Russian communities during this era, and this priest didn’t look familiar. Nor did the group of people look particularly Slavic to me. I suspected they may have been Middle Eastern, which is a bit out of my expertise. So I dispatched an email to my SOCHA colleague Matthew Namee, and after comparing notes for a little bit, we struck gold. The priest in question is Fr. 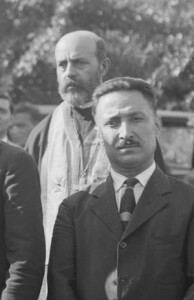 Job Salloom, who was the pastor of St. George Syrian (now Antiochian) Orthodox Church in Washington, DC. And these, presumably, are some of his parishioners. There is a surprisingly large amount of information online about Salloom, much of it being oral history by his descendants (including some photographs). Job Salloom came to America in 1904, and was ordained a priest in 1912. He served the St. George parish in Washington for over twenty years, and served itinerantly when needed to communities throughout the general region during that period as well. Fr. Job was apparently kind, well-liked, and had a lively sense of humor. He was beloved by his family, and apparently his congregation as well. According to the 1920 Census, Fr. Job and his wife Deby had five daughters and a son. This picture captures him around halfway through his ministry in America, when he was a little older than 50, and about a decade before his 1936 death. This little discovery has led to a different project Matthew will be introducing in a few days. We’ve been on the phone about it constantly for the last few days, and I really think it’s going to be something our readers will enjoy. 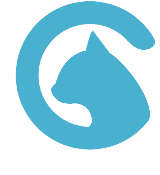 Stay tuned here at the SOCHA blog for that, but in the meantime, do yourself a favor and poke around Shorpy for a while. It’s well worth your time. Next : Who are the clergy around St. Raphael’s casket?